Walk With Me is quickly approaching! This year, the event will be held on June 6th at the Philadelphia Zoo. It is an amazing day to raise funds and awareness for Easter Seals programs and services. The day also allows us to shine a spotlight on some of the amazing children who benefit from our services as well as their incredible families. Over the next couple of weeks, we will introduce you to our Honorary Ambassadors. Keishlyan, or “Keishy” as she is affectionately called by all of her teachers and therapists, is a very smart 4-year-old. 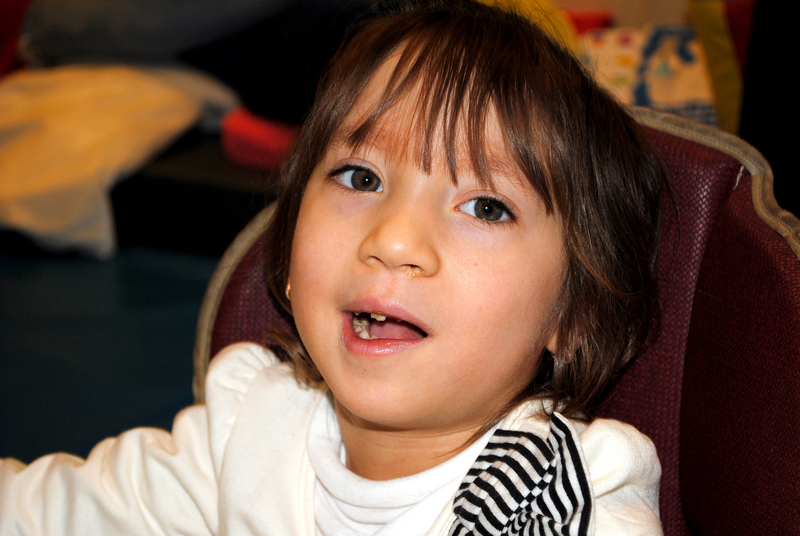 Keishy has cerebral palsy and attends the Approved Private School in our Philadelphia Division. Her family moved here from Puerto Rico to ensure that she was receiving the best services possible. Since she began attending Easter Seals, she has been doing some amazing things. Keishy has begun using eye gaze software to increase her communication, she is learning to use a gait trainer, communicate with sign language and is using her left arm, which she hadn’t been doing at all. Keishy also happens to be bilingual. When she is not wowing everyone at school, she loves to go shopping and has quite an eye for fashion. She also loves to swim, listen to music and watch her favorite shows. She knows what she wants and isn’t afraid to let you know, whether it be a book, an outfit or her favorite…bubbles. Keishy is a brilliant girl with a smile to match! Join Keishy and the other Honorary Ambassadors at Walk With Me! You can register here. This entry was posted in child stories and tagged Approved Private School, Early Intervnetion, Easter Seals, Easter Seals of Southeastern PA, Easter Seals of Southeastern Pennsylvania, Walk With Me, zoo on May 18, 2015 by Easterseals.